Energized with 100% Visco-Pro for perfect alignment support. Club Spa is a wonderful body support mattress that comprises of Resilient HR Foam which gives you optimum support and relaxes your body muscles while you sleep on it. 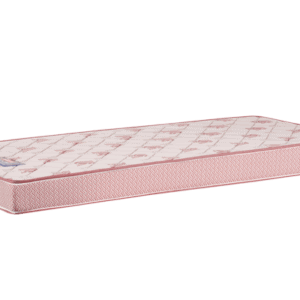 It is a perfect combination of comfort, durability and firmness. The imported Belgian upholstery is anti-allergic and mite free. The mattress will provide you with years of comfortable and restful sleep as it has been subjected to rigorous independent testing. Having figured out the optimal levels of firmness, coolness, breathability, and comfort – we have put them all into one mattress, making it the best mattress you’ve ever slept on.